Sunderland graduate Naomi Osborne has taken what she learnt in her degree, and her love for her adopted city, by taking the first steps into a new career that is set to take her across the world. Naomi, 22, gained her degree in Tourism Management last summer – and the young graduate from Belfast decided that Sunderland was the best place to begin her career in marketing. After she finished her degree Naomi contacted the University’s Sunderland Futures team. They helped her polish her CV, and land an eight-week role as a Marketing Intern at Sunderland’s Bridges Shopping Centre. The University of Sunderland offers internships in many different disciplines, from heavy engineering to performing arts. Students and graduates receive one-to-one advice and support, and the opportunity to work in a real world environment, with invaluable experience to add to their professional CV. The latest Destinations of Leavers from Higher Education figures, the national benchmark for graduate employment, show that 94.2% of Sunderland graduates are in employment or further study six months after graduation. 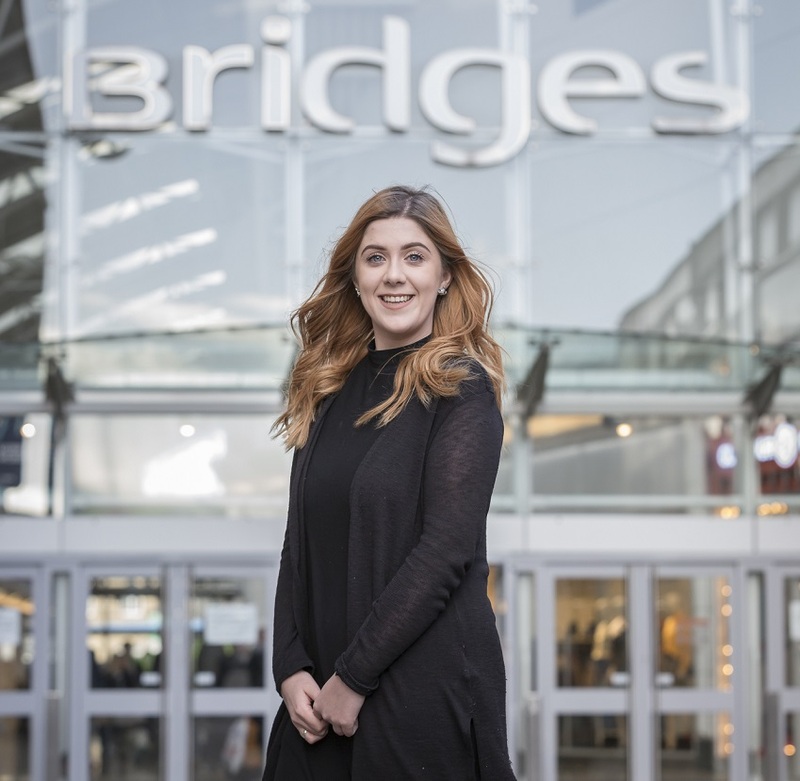 Samantha Czwordon, Marketing and Communications Manager for the Bridges, said: “It’s great to work alongside motivated and enthusiastic young people, such as Naomi, who help to bring new ideas to your business. Though Naomi says she intends to continue to work within marketing, in the future she hopes to combine that work with another passion, conservation.